Love bubble tea? 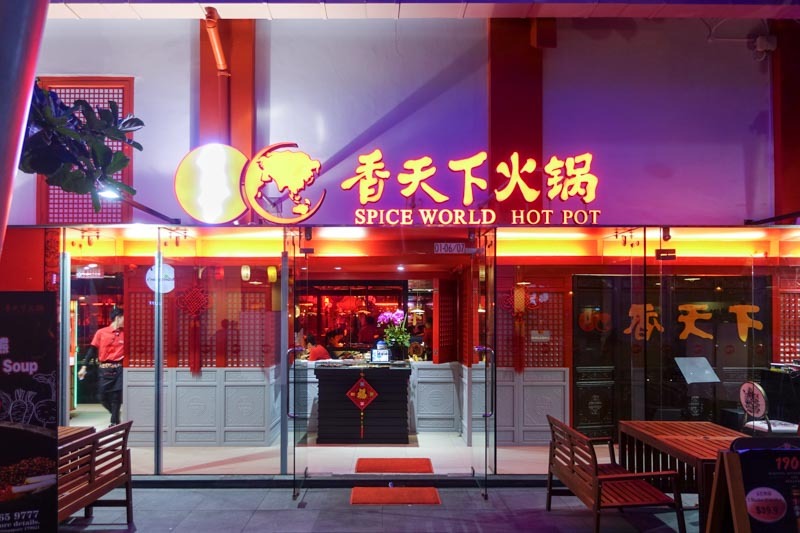 Then you might be interested in this latest bubble tea creation from Spice World Hot Pot (香天下火锅). Their new Bubble Tea Hotpot (S$32.90) is a sweet “soup” base that’s served alongside their usual mala hotpot. 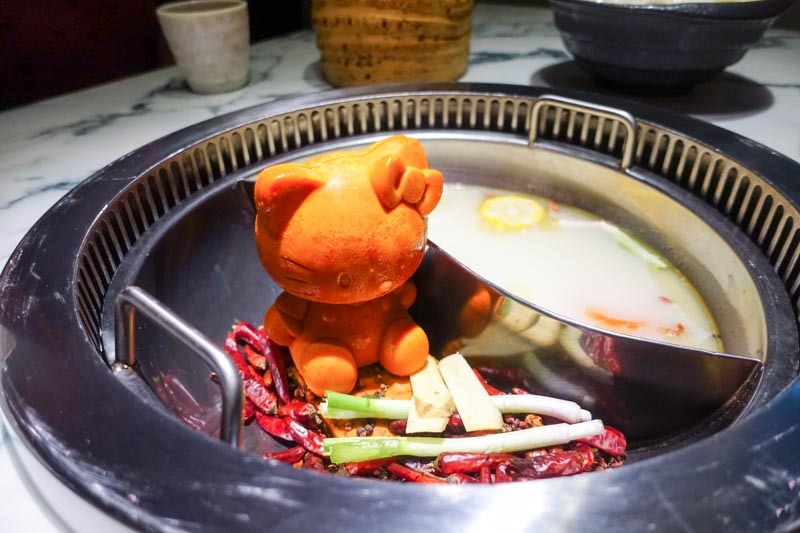 Located at Clarke Quay, you’ve probably heard of their Insta-worthy teddy bear and Hello Kitty mala hotpot, as well as the Barbie meat dress platter. The Bubble Tea Hotpot has a layer of milk foam atop the underlying Assam milk tea broth. 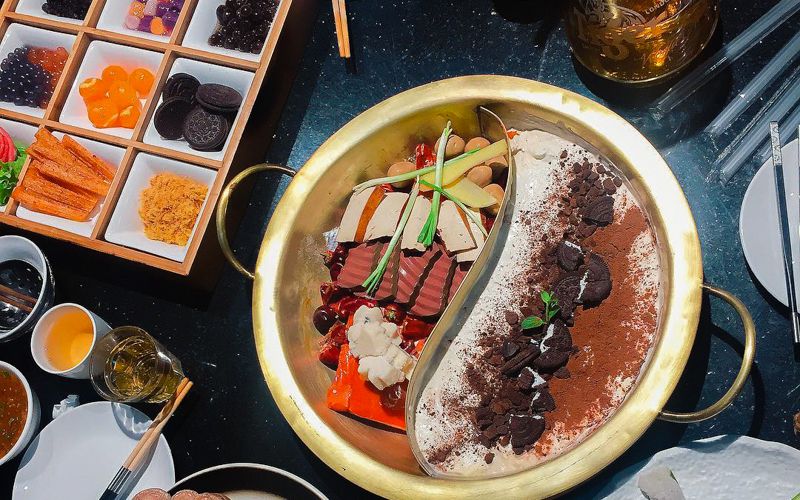 This unique hotpot also contains mango popping pearls, with coffee powder and Oreo cookies as toppings. For a more filling meal, pick some ingredients for dipping. You can choose from savoury ones such as mala bak kwa and beef slices, or sweet ones such as taro, nata de coco and colourful jellies. Mala bak kwa and bubble tea sound like a recipe for disaster. Besides, I doubt the savoury chunks of beef would taste very good in a sweet and milky bubble tea “broth”. Considering how hot Singapore’s weather is, I’d rather have my bubble tea ice-cold than in a hotpot. But if you really just can’t get enough of bubble tea, or if you need to counter the burning sensation from the mala, then go for this bubble tea hotpot.